International Journal of Technology (IJT) is an international, peer-reviewed journal, research journal aiming at promoting and publishing original high quality research in all disciplines of engineering sciences and technology. Viz. Mechanical Engineering, Civil Engineering, Electrical Engineering, Electronics and Telecommunication Engineering, Computer Engineering, Chemical Engineering, Biotechnology, Information Technology, Architecture Engineering etc. 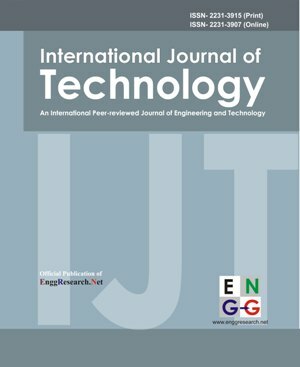 IJT publishes Original research Articles, Short Communications, Review Articles in all areas of Engineering and Technology. The subject covered is Engineering Mechanics, Construction Materials, Surveying, Fluid Mechanics and Hydraulics, Modeling and Simulations, Thermodynamics, Refrigeration and Air-conditioning, Metallurgy, Electronic Communication Systems, Agricultural Machinery and Equipment, Applied Sciences, Chemical Engineering etc. Daharwal SJ, Saraf Swarnlata and Saraf S. Spectrophotometric method for simultaneous estimation of amoxicillin and tinidazole in tablet dosage form. Indian Journal of Pharmaceutical Education and Research. 2007; 41 (1): 35-41. Author(s) shall declared the conflict of interest Yes/ No before submission of manuscript for publication. The conflict of interest as mentioned in manuscript before references section. By the use of any free plagiarism checker, the author(s) shall provide the plagiarism report with submission of manuscript. 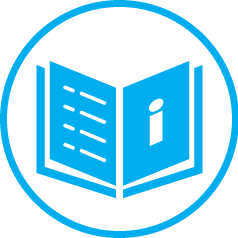 There is no processiong fee or publication charges. The one printed copy of journal will be posted against the paying of processing fees at the postal address of corresponding author. Also one pdf copy of published manuscript shall be send as attached documents at your email. There is no processing fee for co-authors. The article entitled _________________________________is herewith submitted for publication in International Journal of Technology (IJT). It has not been published before, and it is not under consideration for publication in any other journal (s). It contains no matter that is scandalous, obscene, libelous, or otherwise contrary to law. When the article is accepted for publication, I/We, as author/authors, hereby agree to transfer to International Journal of Technology (IJT) all rights, including those pertaining to electronic forms and transmissions, under existing copyright laws. I/We agree that copies made under these circumstances will continue to carry the copyright notice that appeared in the original published work. I/We certify that I/We have obtained written permission for the use of text, tables, and/or illustrations from any copyrighted source(s), and I/We agree to supply such written permission(s) to International Journal of Technology (IJT) upon request.